Mixed media usually refers to acrylic and paper in my realm of creative materials. These small format original pieces will be on offer at CatConLA in June. 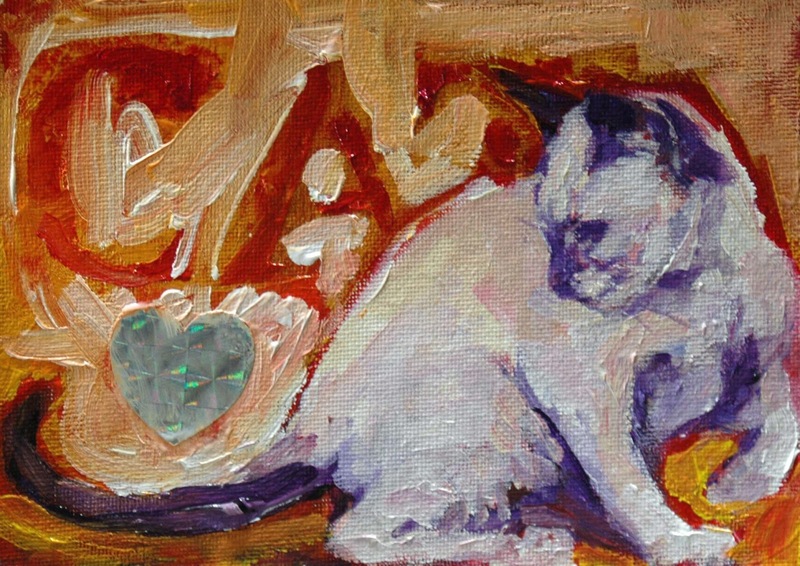 I see it as a good sign that I am still very excited about painting cats.